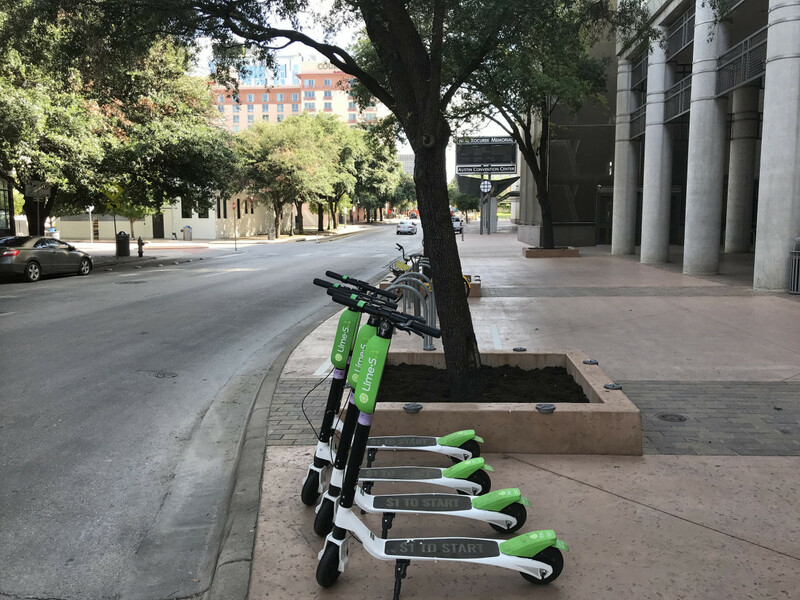 If you live in a big city or on a college campus in the United States or around the world, you might be familiar with the new sensation of BIRD, Lime, SPIN, and Uber's JUMP electric scooters. These pay-by-ride, battery-operated scooters are dockless, meaning they do not require permanent charging or locking stations, and thus can be strategically placed across urban areas. They offer a new method of transportation for traveling short distances without being stuck in traffic, while also moving much faster than walking. The use of a dockless scooter is dependent on the use of the corresponding mobile application which allows you to unlock the scooter and perform other features. Riders can use the apps to pay for a ride on a scooter, which often costs less than using public transit to go to the same destination. The apps also allow riders to locate the scooters available for use and to report any scooters which need maintenance. Since these escooters run on battery, they can only function for so long before needing a charge. That’s where people known as the Chargers, or “Juicers” in the case of Lime scooters, come in. Each night, they pick up the electric scooters, charge them at their own residences, and in the morning they “free the BIRDs” and otherwise distribute the scooters to optimal locations for people to find and use them. These scooters provide low-cost and sustainable transportation that can be shared among multiple riders per day. In highly congested urban areas, use of the scooters can relieve some car traffic and emissions. Amazingly, it's budget-friendly even for a city or campus to start a program in their area, with virtually no cost to the community to have one or more of the electric scooter companies. The scooters can also have unexpected community benefits. Lime is pioneering a new program that gives disadvantaged communities the opportunity to use electric scooters at a much more affordable rate. However, that is not the only social program Lime pioneered in 2018. On Nov. 6, Election Day, Lime ingeniously partnered with Vote.org and made all rides to polling stations free to ensure people were not prevented from voting due to lack of transportation. Some communities are beginning to regulate the use of scooters. Arguments against the advent of the dockless electric city scooter are primarily those of the safety of the riders and pedestrians. Sometimes people ride them on the sidewalks, which is not allowed. The scooters can interfere with pedestrians, blocking sidewalk access by being placed lying down — or falling over — or in clusters in random areas. Although required in some places, riders often choose not to wear helmets. But there are some safety features that are fundamentally built into the scooter programs and apps. Some examples include the requirement of a rider scanning their driver’s license and in-app checks and reporting on erratic riding. The requirement to wear a helmet is supplemented by the scooter companies providing extensive supplies of free helmets at events. Electric scooters are transforming how people get around cities. They reduce the number of automobiles and the volume of traffic on the roads, as well as the congestion in public transit. They provide a less expensive yet environmentally friendly method of transit that reduces pollution output and improves city air quality. Where public or affordable transit is less available, they provide residents with a reliable way to get around at a low pay-by-ride rate. While it remains to be seen whether scooter-share program deployment is a temporary trend or the beginning of a movement, scooter ridership continues to climb.